(Washington, D.C., September 11, 2014). 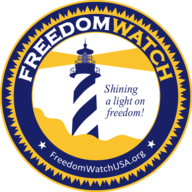 Today, Larry Klayman, the founder of Judicial Watch and Freedom Watch, a civil rights activist, an advocate, a renowned expert on terrorism and the Middle East, and himself a subscriber of Facebook, filed a petition for writ of certiorari with the U.S. Supreme Court over Facebook's and Mark Zuckerberg's refusal to take down the "Third Intifada Page," which contained terrorist death threats and calls to carry out said death threats against all Jews, and had over 300,000 followers, remained online for a staggering two weeks. During this time period, JEWS DIED as a result. Given Klayman's highly public opposition to radical Islam, and his Jewish heritage and faith, he feared an imminent attack at any moment to cause him severe bodily harm or even death. Klayman's fears were justifiably confirmed – he received numerous death threats. The "Third Intifada Page" received so much support from terrorists and radical Muslims that Klayman himself, along with the Public Diplomacy Minister of Israel, had no choice but to ask Facebook to simply take down the page. 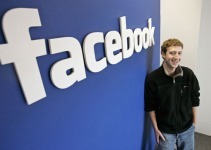 However, Facebook, and Zuckerberg, a man with a less than credible reputation for stepping on the toes of those who helped him get to the top, refused to take down the page for two entire weeks because he was more concerned with increasing viewership and participation in the Middle East to increase the value of any eventual public offering of shares. As a First Amendment attorney in many ways, and as a direct death target resulting from the "Third Intifada Page," Klayman filed suit against Facebook and Zuckerberg because, under well-established First Amendment precedent, just as a person does not have the right to yell "fire" in a crowded theater, a person does not have an unbridled right to post whatever he or she wants on the internet, especially dangerous or deadly material that results in death or harm to others. Since, for obvious reasons, Klayman would have no success in suing the terrorists who posted the death threats, Klayman knew that Facebook and Zuckerberg could be held liable for the deaths of many innocent Jews because Facebook furthered the terrorist conduct and effectively aided in the deaths of these Jews. Klayman discovered a way to hold Facebook and Zuckerberg liable for their malicious and tortious conduct. He asserted that in extreme circumstances, where terrorists are instructing their creed to kill people and where internet service providers are furthering these instructions by refusing to take down the deadly content, the First Amendment, in conjunction with the Communications Decency Act ("CDA"), legislation that addresses internet service providers' liability for third-party content, does not permit internet service providers, like Facebook, to be accessories to crimes by allowing them to further criminal and terrorist conduct. Klayman's petition requests that the U.S. Supreme Court step in now to prevent further deaths from occurring. Congress did not so intend for internet service providers to escape liability for furthering the deaths of innocent people. Klayman also requests that the U.S. Supreme Court issue a decision because, not only are crucial constitutional issues at stake, there is a division among the U.S. Courts of Appeal, and thus, the U.S. Supreme Court must break the legal impasse by finding that the CDA does not shield all speech, as Congress did not so intend. Ironically, the deadline for filing this Petition is September 11, 2014, on the 13th anniversary of 9/11, when a series of attacks conducted by radical Islamic terrorists resulted in the deaths of almost 3,000 innocent people.